Ultra Electronics has added a new card printer with laminator to its Magicard line. The Magicard Tango +L provides added durability via built-in lamination. It includes smart card encoding options for Mifare, HID’s i-Class, and Desfire. 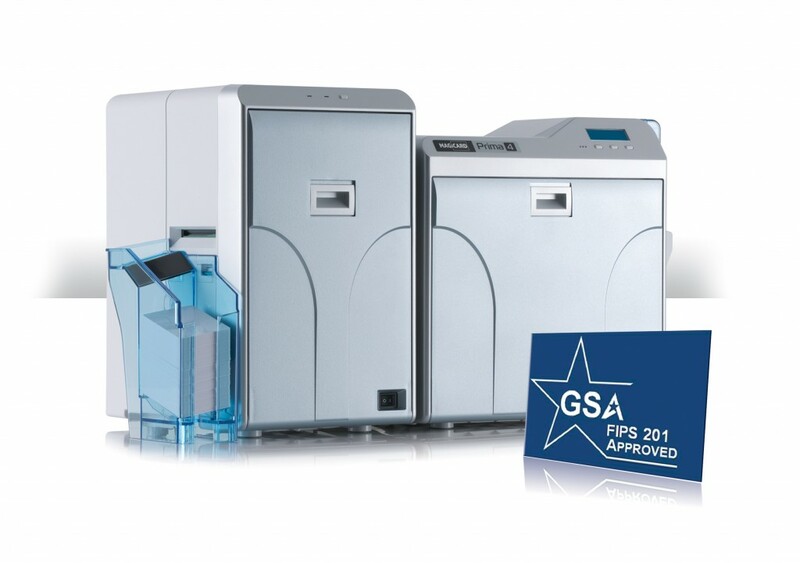 Ideal for all applications where durable laminated cards are required, such as Airport IDs, Government IDs like FIPS 201, and Drivers Licenses, the high-security Magicard Tango +L integrated ID card printer and laminator features a robust metal construction for long-term reliability, Ultra’s patented HoloKote™ watermark for economical secure cards, and the best-in-class UltraCoverPlus 2 year warranty. Both USB and Ethernet interfaces are standard for connecting to either a local computer or on a network. The Tango +L prints and laminates both single or double sided ID cards. A full range of laminate supplies is available, including 0.6 mil and 1.0 mil polyester patch laminates, and thin holographic laminates. Laminates are available in both standard designs and custom designs, and can incorporate security features such as holograms, micro text, and machine readable features. In addition, lamination can be combined with Magicard’s unique patented HoloKote watermark, for a low-cost visual security solution. HoloKote can also be customized to the customer’s logo design. The Tango +L provides high security, long-term, ID card production, and features a new graphical driver, extensive printer security including locking card hopper, laminate film, reject tray, and card stacker, and a full range of smart card encoding options, including Mifare, HID i-Class, and Desfire. The Tango +L is covered by our 2 year UltraCoverPlus warranty, with hassle-free print head cover and loaner service, in North America, the EU and selected other countries. The UltraCoverPlus warranty is the best in the industry, and provides total peace of mind for both resellers and end-users. Ultra Electronics Card Systems is part of the international defense, aerospace and security group Ultra Electronics, with a worldwide workforce of 3,000 employees. Card Systems has been designing and manufacturing its Magicard range of secure ID Card Printers since 1993, and is now recognized as one of the world’s leading manufacturers. The high technology Magicard printers are used in a wide variety of portrait ID and access control applications, and incorporate innovative HoloKoteä anti-counterfeiting technology, developed and patented by Ultra, which puts a watermark across the printed card surface. www.ultramagicard.com.